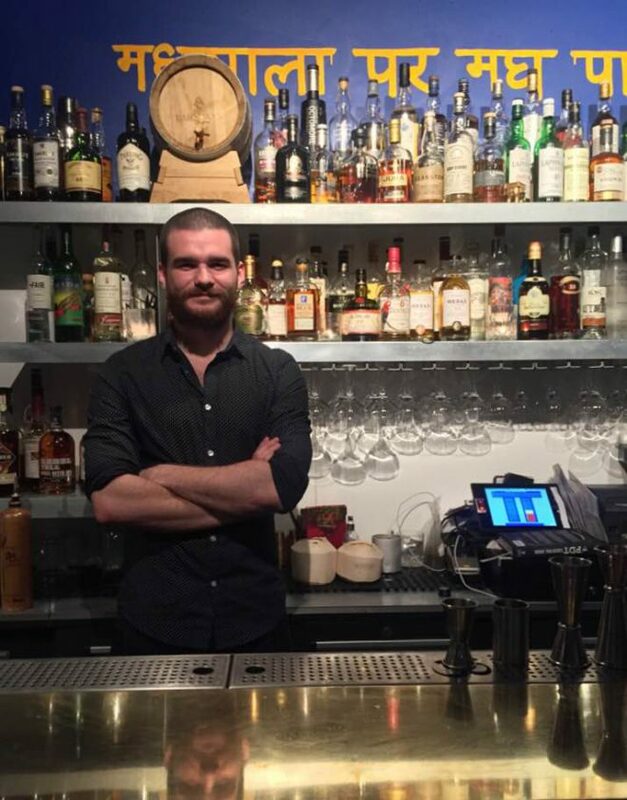 I’m Anatole Boutant, I’m 22 years old and a bartender at Baranaan in Paris. Whilst studying sociology I was a waiter and bar-back at La Conserverie. I remember when I started there, I didn’t understand why they had to refresh the glass before serving a cocktail. I began to feel this was actually what I wanted to do in life, but my colleagues pushed me to finish my diploma. After I finished my diploma I stayed in this bar for two years, before joining Baranaan just after their soft launch. There’s been a lot to create and set up, so it’s been a real challenge for me. What I now see is that the bar is a real field for sociology and leading in the bar has made me confident which is important to me. I am the one who runs the party and it’s very rewarding to craft a drink and instantly see the clients satisfaction. Perhaps that’s why in the beginning I worked in nightclubs, where I learnt a lot about speed and customer relationship management. Working in a cocktail bar just gives me the creativity on top of all those other things. I’d like to open a simple, affordable place that can hold around 50 people. Personally I think in Paris the drinks are too expensive. You can make sharp cocktails that are not too expensive. There should be a middle ground between high level expensive cocktail bars and bars where you drink beers or low level spirits. My bar would be vintage bistro style with a modern touch, kind of like what Mido did at Café Moderne but rougher and more simplistic. I think I would also stay open after 2am, because it’s a totally different mindset where you can do stuff differently with a different audience which I like. I’d have a DJ between the two bartenders, each one with his station, so everyone mixes together. The DJ would run the party along with the bartenders. When I go out to drink it’s with friends who finish late as well or with the team. We don’t care about the places we go, we just want to disconnect. I do like to go to cocktail bars when I don’t work, to discover new stuff. Now that I’m here in this bar, I’d say Xeres with the oxydation and the mixes you can make with different types from Manzanilla to Pedro Jimenez. I love this traditional spirit and it needs more recognition. It allows people to discover spirits they don’t usually like as it pushes the flavour in another direction and gives drinks a more winey taste. A cocktail which matches with the context and the clients mindset. So a bartender that can make a good cocktail needs to listen to his customer and respect his tastes and guide him. I love to work with liqueur like Mastica or Benedictine. It brings a tart side to a cocktail and links all the ingredients without being too acidic. You need to go in Toulouse to meet Nicolas at L’heure du Singe which just opened and recently I met Hugo from the Fox Trot in Lisbon.